SVT Associates (SVTA) is a world leading manufacturer of Molecular Beam Epitaxy systems (MBE) and other Thin Film Deposition Equipment. SVT Associates has been providing innovative thin film deposition technology since 1993. MBE is a key technology in advanced Semiconductor research and development due to the unique structures and exact dimensional control that can be achieved. Semiconductors continue to be a driving force in productivity and capability advances in the world around us. The progress in computers, communications, and medical electronics are due to advances in semiconductors. Today semiconductor technology is at the heart of game changing green technologies for lighting, solar power generation, and electric power control and management. SVT Associates’ contributions to the state of the art of MBE and thin film technologies provide researchers the tools needed to create advanced devices leading to breakthrough solutions. SVT Associates advanced materials laboratory is staffed with thin film deposition experts and equipped with multiple MBE, Atomic Layer deposition (ALD), Pulsed Laser Deposition (PLD), and other deposition systems. The Lab conducts contract research (Dept. of Energy, NASA, Missile Defense Agency, National Science Foundation, and others) and has received SBIR grants. Our Lab is SVT Associates’ main source of technology development for processes and equipment. We work together with our customers to test and refine processes and equipment. The process knowledge that is gained from our on-site Advanced Materials Research Laboratory is incorporated in the design of our equipment for superior performance, longevity, and value. With a unique combination of equipment design capability and an onsite film growth laboratory, SVT Associates has the tools and the process knowledge to provide the best support for your thin film deposition application. 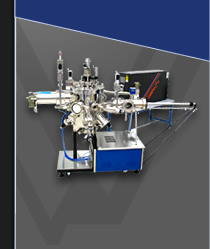 SVT Associates offers a wide array of deposition tools; Molecular Beam Epitaxy Systems (including laser MBE), Atomic Layer Deposition equipment (ALD), Physical Vapor Deposition (PVD – thermal evaporation, electron beam evaporation, and sputter deposition), Pulsed Laser Deposition (PLD), and deposition equipment especially for thin film photovoltaic applications. SVT Associates is also a world leader in custom engineered UHV deposition systems. SVT Associates provides complete solutions including the critical process monitoring tools needed to control the deposition processes. From basic research to production, we offer equipment solutions, scaled to meet your needs. SVT Associates has the equipment, the engineering capability, and the process knowledge to provide the right technology and equipment to advance your application. 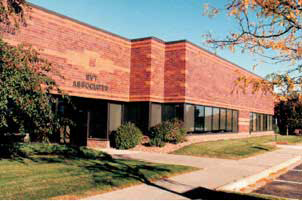 SVT Associates also produces state-of-the-art epitaxial grown materials and devices in our onsite laboratory. Our unique spectral sensors are applied in air pollution monitoring devices and UV exposure monitors to help secure a healthy environment. SVT Associates’ thin film technology will continue to support semiconductor advances leading to a brighter and greener future.